Having announced that he was going to run for the Miami-centic state Senate seat in district 36, it was expected that State Rep. Manny Diaz (R) would be able to garner a deep roster of support from the who’s who of GOP politics in Miami. Diaz’s senate campaign has just rolled his campaign kick-off fundraising event at where else, Hialeah Park. 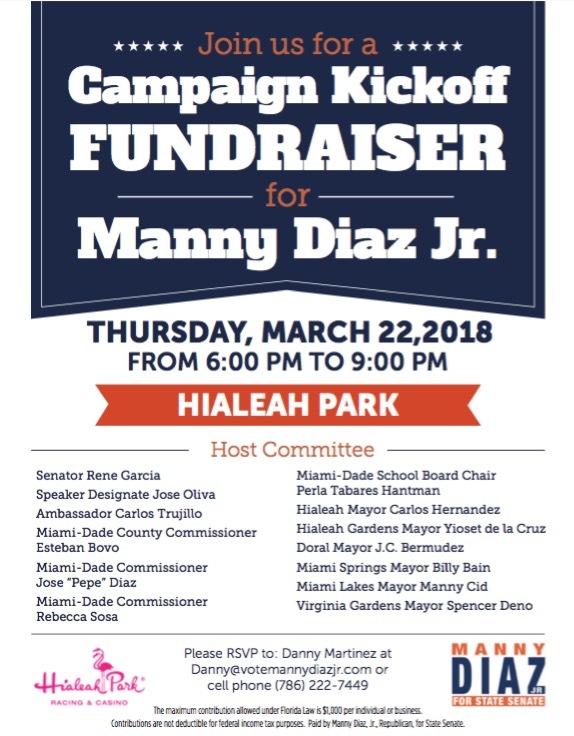 Here is the flyer advertising the event, which includes host committee of some Miami-Dade’s most recognizable Hispanic politicos.